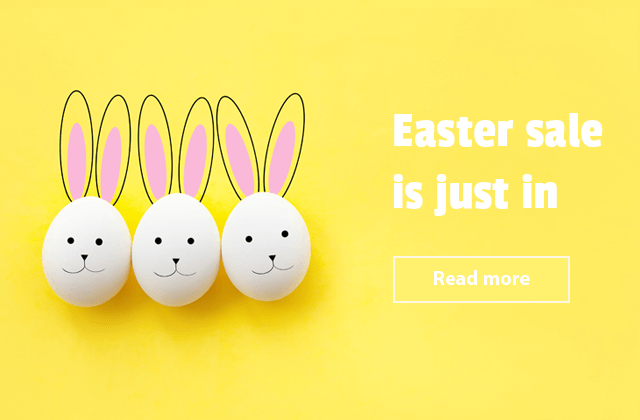 By promoting the website don’t forget about structured data testing tools that check the relevance of store links for user search requests. 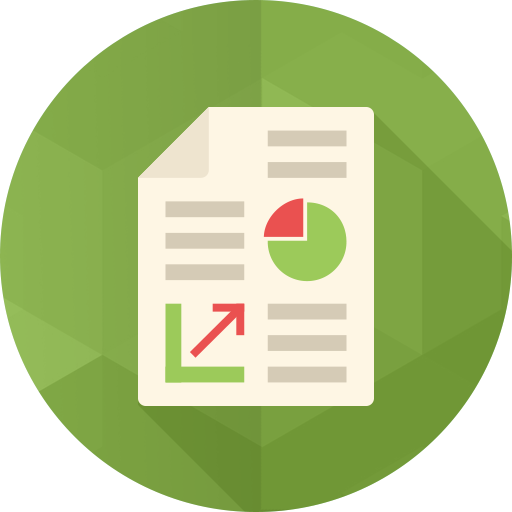 Need to be sure the links to your Magento store are completely informative? 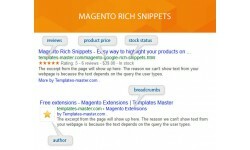 We recommend to you try out Rich Snippets module. 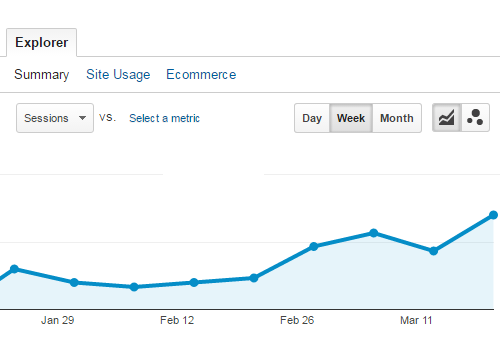 This Magento extension was developed with CTR rating growth in mind. It will also help you to increase your pages rank and improve website credibility. 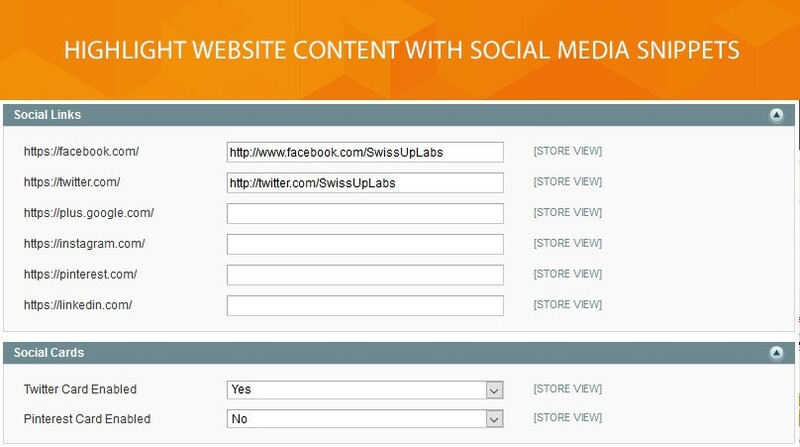 Now you can easily test the relevance of the website information to web search results. 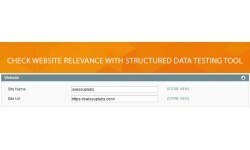 Learn how the structured data testing tool works. Before the display of content, Google crawls rich snippets for the full information about your organization, breadcrumb listing, website, and products. If it looks fine clients will see the marked up content on Google Search results page soon. 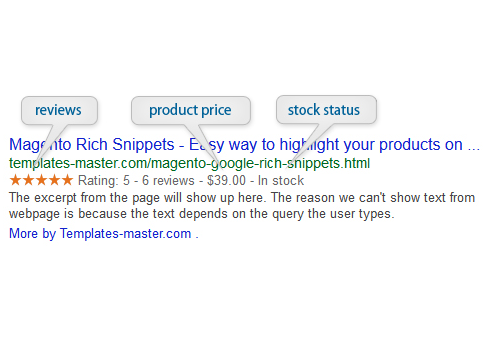 Expand the visibility of the store with Magento rich snippets extension. Our module provides you with eye-catching text that appears next to each search result. 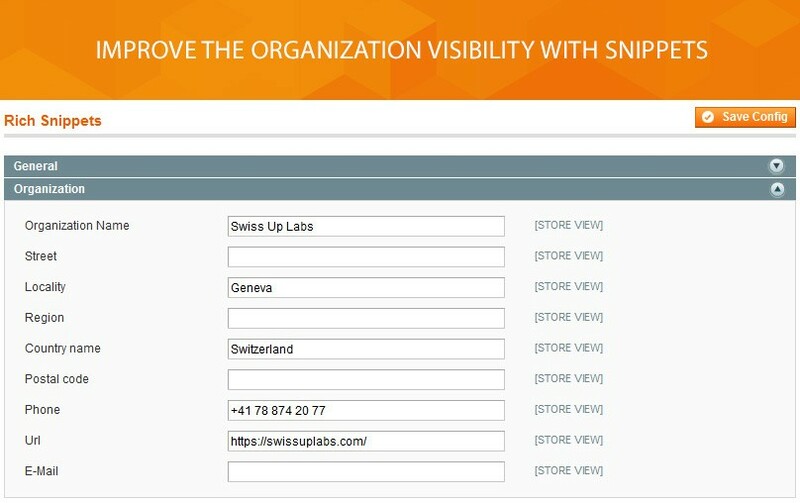 Help visitors to see an additional information right on the search page. With rich snippets, you’ll gain users attention and trigger them navigate forward. Highlight the store offerings with snippets and boost click through rate by up to 30%. 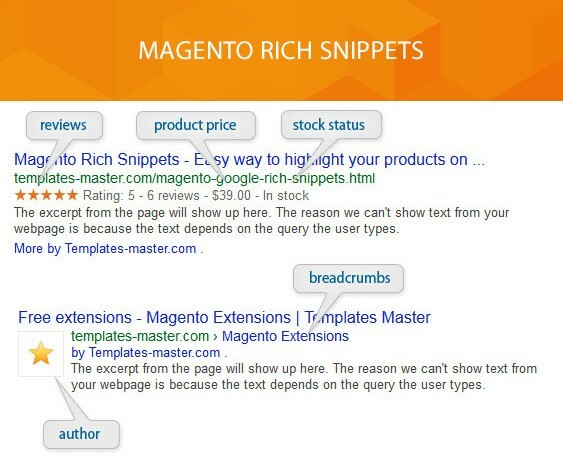 Rich Snippets extension allows you to show author, price, review, stock status and product data snippets to search results. 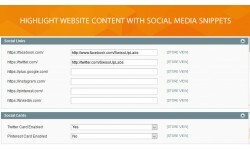 Social cards and company info snippets are also supported. We suggest you show the breadcrumb trail to visitors. Your potential customers will be able to click on the path to specific category page of your Magento website in order to view what they’re looking for.